A scrap metal recycler with a history of air pollution problems in north Minneapolis could relocate 50 miles northwest to the city of Becker as soon as this summer. Last year, Northern Metal Recycling agreed to pay $2.5 million and move its operations by 2019 to settle emissions violations with the Minnesota Pollution Control Agency. The MPCA said Northern Metals was sending high levels of metals into the air in north Minneapolis. The company's metal shredder at 2800 Pacific St. was believed to be the main source of particle emissions that violated state air quality standards. Now, Northern Metals is proposing to build an enclosed scrap metal recycling center on 75 acres in an industrial area in Becker. City and state officials say they expect it to be a much different operation. 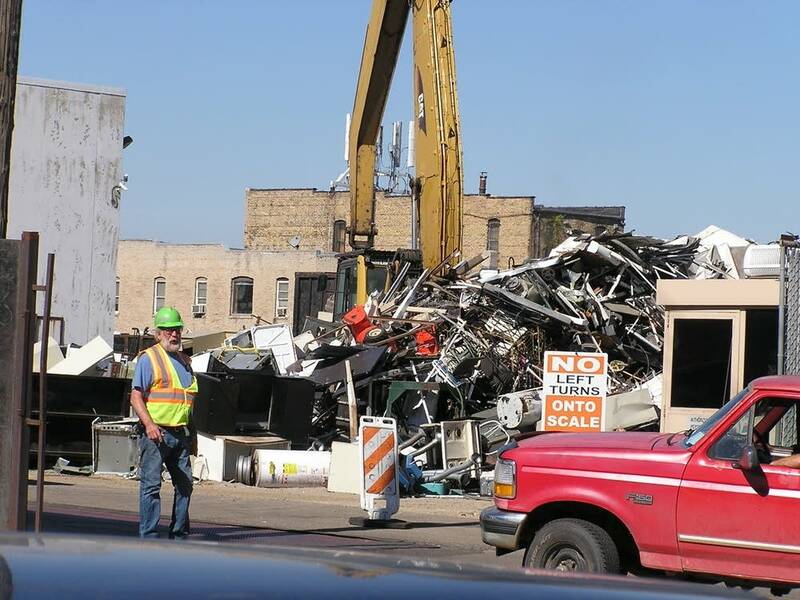 While some Minneapolis residents might be glad to see the metal shredder leaving, City Administrator Greg Pruszinske said it's a good fit for Becker. It will be a major power user, and Becker — with both the Sherco coal plant and Monticello nuclear plant nearby — has an abundance of energy production, Pruszinske said. It's also a central location with access to both Interstate 94 and U.S. Highway 10. Pruszinske said the company has undergone a change in management. The new leaders are pledging to use state-of-the-art pollution control equipment to meet air permit standards. "I'm convinced that they want to be a good corporate citizen," Pruszinske said. Northern Metals expects to create about 80 jobs initially, and eventually increase that number to 140, Pruszinske said. Becker is facing expected job losses when Xcel Energy retires two of the three units at Sherco by 2026. Many of the problems Northern Metals encountered in Minneapolis stemmed from the small site and proximity of residents, said Jeff Smith, director of MPCA's industrial division. "The fact that they're moving someplace with a 40, 50-acre area and a lot of buffer land between them and towns and people really minimizes the chance and the opportunity for environmental and human health risks," Smith said. The new facility will use a three-step system to control air emissions, including particles and volatile organic compounds, or VOCs, Smith said. "We really feel much more comfortable both in the company's attitude and their investment in the site and the buildings themselves to make sure they can be protective," he said. Scott Helberg, Northern Metals' chief operating officer, did not respond to an email request seeking comment. The consent decree requires the Minneapolis shredder to shut down by Aug. 1, 2019. Pruszinske said Northern Metals hopes to break ground at the Becker site this summer. The public has until May 18 to comment on the environmental review of the proposal as well as a draft air emissions permit. A public meeting is scheduled for 6 p.m. May 10 at the Becker Community Center. Becker resident Kathryn Tasto had early concerns about the metal recycler possibly bringing noise and pollution to her city. She said she's trusting that the permitting process will protect the air and water. "I'm not hearing a lot of concern in the community," Tasto said. "I personally support recycling metal. But we have to make sure it's going to be done safely, and we have to make sure our government agencies, particularly the MPCA, are going to do their job." Correction (April 28, 2018): An earlier version of this story incorrectly spelled Greg Pruszinske's name.